Harvard Hillel hosted a Seder last week meant to publicly oppose Israeli presence in the West Bank and Gaza, though student organizers complained of some “censorship” from Hillel administrators. The Seder—a ceremonial service and meal that takes place at the start of the Jewish holiday of Passover—was run by student group Harvard College Progressive Jewish Alliance. The event was intended to honor what organizers called the Palestinian victims of the Israeli government’s policies. Noah R. Wagner ’18, who helped organize the Seder, said the holiday afforded an opportunity to address what can be a touchy subject for many Jews. Harvard Hillel is the only nationally affiliated college Hillel chapter to allow an anti-occupation seder this year, according to Helene Lovett ’19, another organizer. Swarthmore College’s chapter held a similar event, but their chapter disaffiliated from the national organization, Hillel International, in 2015 after objections to the chapter’s Israel-Palestine events. Israeli settlement in the West Bank and Gaza began in 1967, when the Israeli army took control of the West Bank and Gaza Strip from Jordan and Egypt, respectively. The Israeli government and many of its supporters dispute the use of the term "occupation," however, contending the designation disregards the Jewish people’s historic ties to the land. In Dec. 2017, President Donald Trump officially recognized Jerusalem as the capital of Israel, prompting criticisms from international leaders and reversing seven decades of U.S. policy precedent. Trump’s decision received much criticism from those who view the West Bank as occupied by Israeli forces. Organizers of Thursday’s Seder said they had to contend with strict standards mandated by Hillel International, an umbrella organization that supports more than 500 Hillels—centers for Jewish students—at college campuses around the world. Hillel International’s “standards of partnership,” implemented in 2010, state the organization—presumably including its chapters—will not “partner with, house, or host” groups or speakers that “delegitimize, demonize, or apply a double standard to Israel” or “support boycott, divestment from, or sanctions” against Israel. “It also means contending with the discomfort and really alienation and silencing that is the experience of Palestinian students and students who do Palestinian organizing on campus who have historically been excluded from Hillel,” Wagner added. 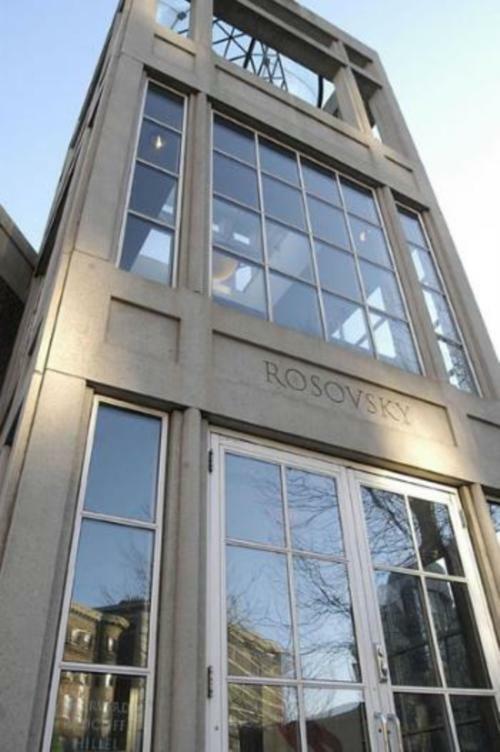 Harvard Hillel Executive Director Jonah C. Steinberg wrote in an emailed statement that his staff worked closely with student organizers of the Seder to formulate a program that fit within Hillel’s guidelines. “The range of pro-Israel views within our walls is very much like the diversity within the Jewish politics of Israel itself,” he wrote. Participants in Thursday’s Seder have faced harsh criticism from some Jewish leaders. Adam Milstein, a prominent Israeli-American real estate developer and philanthropist, called attendees of the Seder “self hating Jews” in a tweet he posted in late March. Last week’s Seder was also meant to honor various civil rights movements including the push for LGBT rights, for racial justice, and for the rights of immigrants and refugees, according to Wagner. Wagner said attendees poured a ceremonial cup of wine for these three movements, along with Palestinian liberation. The event came just days after tensions flared up on the Gaza-Israeli border, with Israeli troops killing at least 17 Palestinians and wounding hundreds more during a demonstration calling for the right of return for Palestinian refugees. The Israeli government has repeatedly justified its use of force, arguing that protesters were rolling burning tires and throwing stones at Israeli soldiers. Wagner and Lovett were arrested last week at the Israeli Consulate in Boston during a protest against Israel’s presence in Gaza and its use of force against Palestinians, according to Lovett. “I think that only reaffirms our commitment to these issues,” Lovett said.